Around the world, cities are increasingly turning towards artists to revitalise their economies and improve urban life. Government policy often emphasises the importance of the creative industries and arts districts for growth and success. However, such development can also lead to housing unaffordability and community displacement. 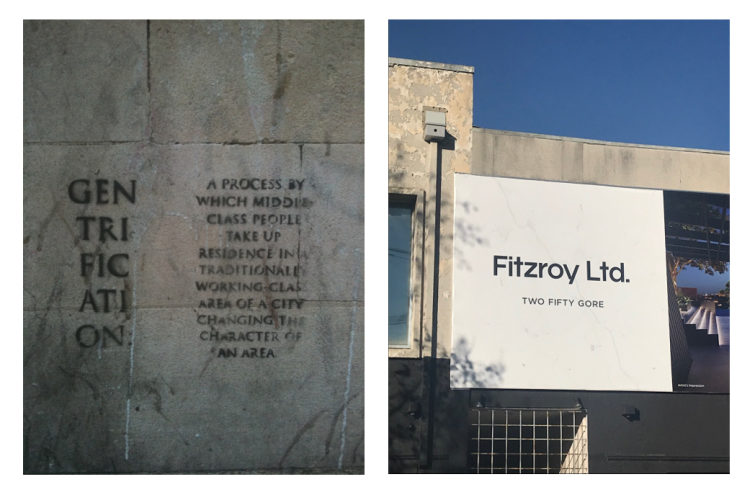 This panel will consider how artists are implicated within the process of gentrification and its relationship with cultural economies using examples from Melbourne, Berlin, London and New York.